The very best pools to swim are definitely indoor olympic pools. If you might be visiting Brooklyn ensure you know the rules and regulation for swimming as they may not be the same as inside your residence town. Please, use the make contact with details provided at every pool profile. We presently have the following Heated Pools in Brooklyn (New York) (New York), but we are usually grateful for any corrections or contributions. Get in touch by way of our get in touch with type. 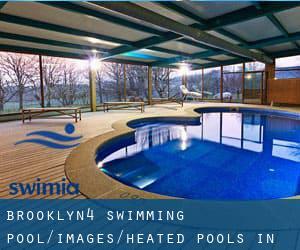 Looking for Heated Pools in Brooklyn (New York) (New York)? A lot of of them belong to gyms or sport centers which also offer lessons. 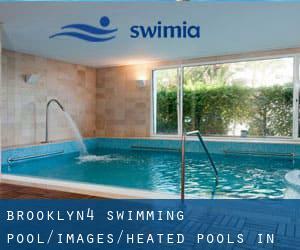 These are the Heated Pools in Brooklyn (New York) (New York) other users have reported. Are you a local and your pool just isn't listed? Contact us to ADD IT. It's free! 1121 Bedford Ave. , Bedford-Stuyvesant , Brooklyn , NY , USA (Postal Code: 11216). This sports center provides 25 yards, Indoors. Contact details for this Swimming Pool including phone number and e-mail address are number. 1540 Van Siclen Ave. , East New York , Brooklyn , NY , USA (Postal Code: 11239). This sports center delivers 100 feet, 6 lanes, 4.5f depth, Indoors. For this Pool, only phone number is number here. 357 9th St. , Prospect Park , Brooklyn , NY , USA (Postal Code: 11215). This sports center gives 20 yards x 20 feet, 3 lanes, Indoors. For this Pool, only phone number is number here. 570 Jamaica Ave. , Cypress Hills , Brooklyn , NY , USA (Postal Code: 11208). This sports center offers 20 yards x 20 feet, 4 lanes, Indoors. For this Swimming Pool, only phone number is number here. 225 Atlantic Avenue , Brooklyn Heights , Brooklyn , NY , USA (Postal Code: 11201). This sports center gives 25 yards x 45 feet, 6 lanes, Indoors. For this Pool, only phone number is number here. 1720 Sheepshead Bay Rd. #28 , Bensonhurst / Sheepshead Bay , Brooklyn , NY , USA (Postal Code: 11235). Swimmers like you reported 20 yards, Indoors. Unfortunately we do not have the e-mail address of this Swimming Pool, but we can give you the phone number. 17 Eastern Pkwy. , Prospect Park , Brooklyn , NY , USA (Postal Code: 11238). Swimmers like you reported 25 yards x 25 feet, 4 lanes, Indoors. Unfortunately we do not have the e-mail address of this Swimming Pool, but we can provide you with the phone number. 3495 Nostrand Avenue , Sheepshead Bay , Brooklyn , NY , USA (Postal Code: 11229). Among all the activities offered by the center, in case you are considering swimming you are going to take pleasure in 25 yards, 4 lanes, Indoors. If you might want to contact this Swimming Pool, e-mail address and phone number are both number. 3300 Coney Island Ave , Brighton Beach , Brooklyn , NY , USA (Postal Code: 11235). Among all of the activities provided by the center, if you're considering swimming you'll appreciate 25 yards, 4 lanes, Indoors. Just in case you need to make contact with this Pool prior to dropping by, we only know the phone number. 1555 Linden Blvd. , Brownsville , Brooklyn , NY , USA (Postal Code: 11212). Among all the activities provided by the center, if you're interested in swimming you'll delight in 25 yards x 30 feet, 8 feet depth, Indoors. Just in case you want to get in touch with this Swimming Pool prior to dropping by, we only know the phone number. 762 President Street , Park Slope , Brooklyn , NY , USA (Postal Code: 11217). Swimmers like you reported 25 yards, 4 lanes, Indoors. Unfortunately we do not have the email address of this Swimming Pool, but we can give you the phone number. 1500 Paerdegat Ave. , Canarsie , Brooklyn , NY , USA (Postal Code: 11236). This sports center offers 20 yards, Indoors. For this Pool, only phone number is number here. Updated on 2019 333 Adams Street , Downtown , Brooklyn , NY , USA (Postal Code: 11201). Swimmers like you reported 25 yards, 2 lanes, Indoors. Unfortunately we do not have the e-mail address of this Swimming Pool, but we can provide you with the phone number. 2900 Bedford Ave. , West Quad Lower Level , Flatbush , Brooklyn , NY , USA (Postal Code: 11210). This sports center gives 25 yards, 8 lanes, Indoors. For this Swimming Pool, only phone number is number here. Erasmus Hall High School , 2240 Bedford Avenue , Flatbush , Brooklyn , NY , USA (Postal Code: 11226). This sports center provides 25 yards, 4 lanes, Indoors. For this Pool, only phone number is number here.